Night full of music, traditional Czech meal and the best Moravian wine (or Czech beer!) awaits you at the Restaurant U Marčanů. This part of the evening takes about 1 hour. You have an opportunity to see typical folk-instruments, such as hammer-dulcimer, fujara (shepherds-whistle) and bag-pipe. After a short break, get involved! Do you have any special song wishes? Don't be shy! The musicians will play songs according to your request and you are welcome to sing and dance as much as you like. At the very end listen to famous compositions of classical music, which were inspirated by folk music (Smetana, Dvořák, Brahms, Sarasate, Mozart, Monti etc.). The wine is served from special glass pipes, which are used in the wine-cellars of Southern Moravia. If you have any special dietary requirements, please ask the staff at the restaurant upon arrival. They are more than happy to accomodate your requests. Each evening is different - depending on the mood of the guests. Therefore, the organizer reserves the right to make changes in the program. This is a truly unforgettable experience and we are more than happy to recommend it to everyone. We were very impressed with the whole program from start to finish: such a friendly staff, lovely venue, divine food and wine, fantastic service, musicians and dancers, genuine feeling of fun. You can see the whole event is organized with love, thought and enthusiasm. We offer the same event with a private tour guide and transfer from / to your hotel with full service. More information here. 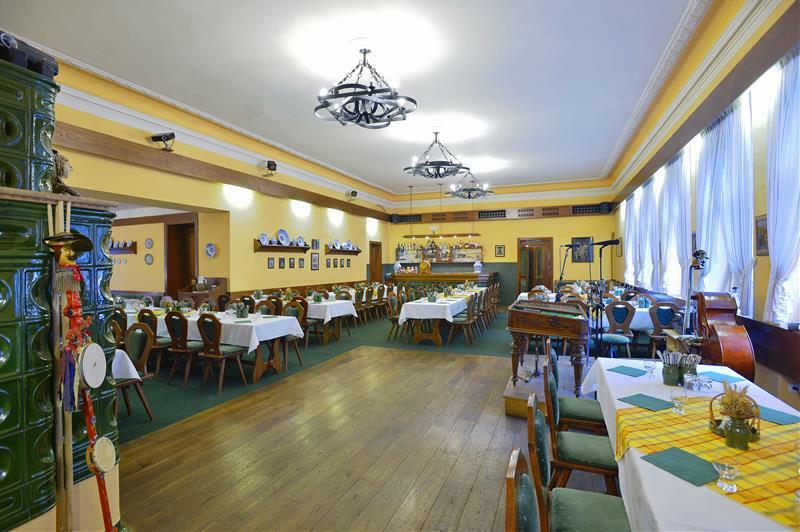 The restaurant, which is located not far from the Prague Castle, has served not only as a restaurant, but also as a place of good entertainment for the locals for more than 100 years. These traditions have not disappeared - at present folk evenings are held for the Prague visitors with great success. 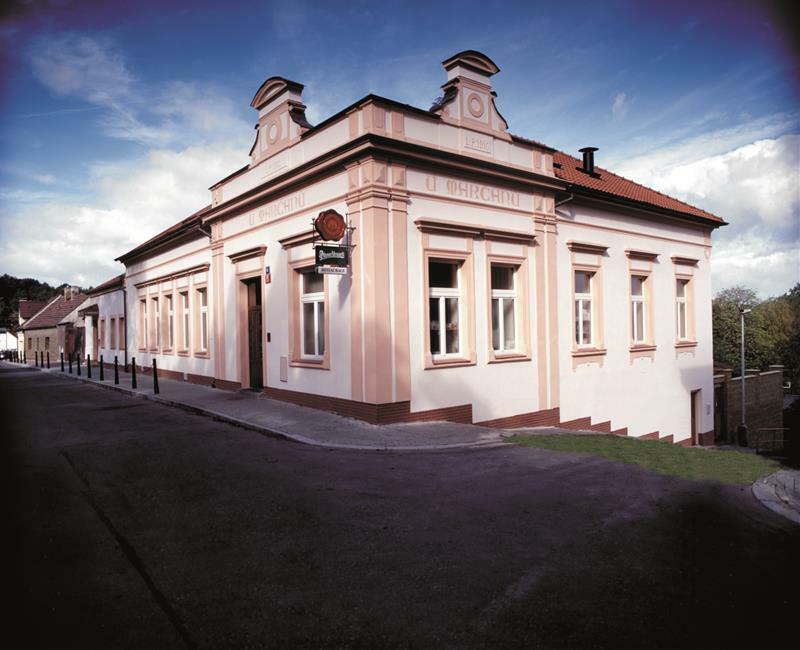 At Restaurant U Marčanů you can go through one of the most beautiful and authentic experiences, which Prague can offer. To the restaurant: Metro A (green line) - Hradčanská station. From the staton take tram No. 1 to Vojenská nemocnice stop. Walk 300 m (Veleslavínská street), the restaurant is on the right side. Excellent value with friendly staff, musicians and dancers. Drinks are flowing, food is tasty and the performers put on a good show. This is not a sophisticated, nor very authentic traditional show, but the crew are very good at providing good cheers all along. Be certain to check where the venue is before heading out, as it is out of the center. Amazing performance. Tasty food. It was like a dream for me . It was a great night! Recommend ++++ We had such great fun and they involved so much of the audience which made our night so much more fun. The food was delicious. Unlimited drinks they were very good at keeping very one topped up. No one got roudy at all. A great atmosphere. The music and show was great. This was the highlight of my trip to Prague! The entertainment and traditional Czech dancing and music was fabulous. The food was really good and the wine and beer was flowing. The servers were pleasant and the service was excellent. I highly recommend this dinner. It was a fabulous evening with warm and welcoming hosts. There was great laughter and fun. The food was delicious. The servers ensured that the wine continued to flow in a most memorable manner. The musicians and dancers shared their culture with joy. 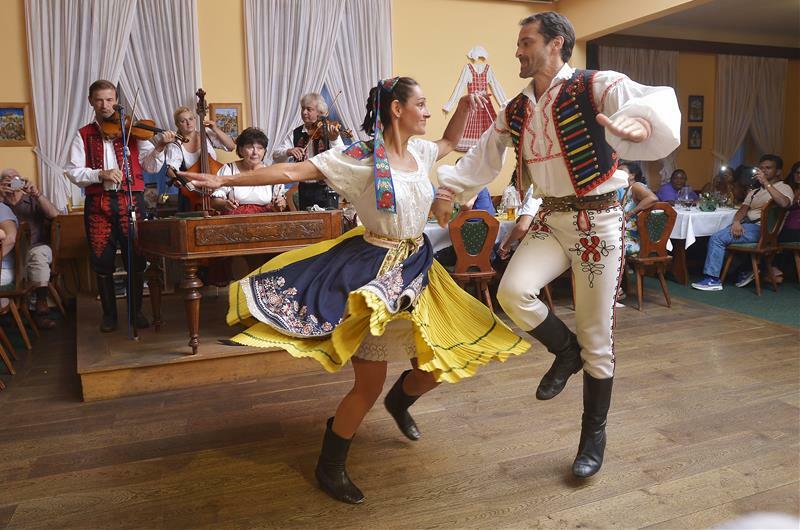 Visiting Prague and spending good quality time in the evening particularly with traditional folk dances of czech with music is must for all visitors. We did it and it was awesome show. Dance was excellent , Food was great and desert mind bowing. It is must show to attend. Dommage qu à la sortie du métro il n y ait aucune indication. On a cherché pendant 1h. De l avis des passants on nous envoyait dans des directions opposées. La soirée à été très agréable et conviviale. Folklore participatif. Excellents musiciens. La jeune chanteuse aussi. nous avons trouvé le repas correct, mais le spectacle dit "folklorique" est peu représentatif du folklore local , il s'agit de faire participer le public aux très diverses nationalités à un répertoire international...pour chauffer la salle. Ce n'est pas ce que nous attendions, mais soirée sympathique sans plus. Seconde fois que je passe la soirée ici à 12 ans d'intervalle ! Toujours aussi agréable ! Excellent value for money. Good meal, good wines, good music, good musicians and dancers ! !